A few Hibs fans seem to be up in arms about Derek Riordan’s omission from the Scotland squad yesterday. The usual accusations aimed at the manager, with Craig Levein labelled too cautious and anti-Hibs. 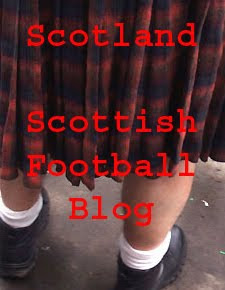 But Levein is a pragmatist - as he signposted himself with the inclusion of David Weir and Paul Hartley in his squad. I’d love to see a Scotland team in which Riordan could excel. Unfortunately we don’t have that at the moment. Riordan is a spark of individual creativity that simply can’t be accommodated in a team that has to be functional. He can turn a game in an instant and provide something so thrilling you wonder how he could have pulled it off. Yet he can also disappear into himself, his anonymity only blown by his complete inability to hide a huff. What room would there be for Derek the desolate passenger in a Scotland team? Levein would love Riordan the marvel but the stakes are too high for him to take such a gamble with inconsistency. Does that mean less talented players than Riordan will find reward in international caps? Yes. But to play for Scotland these days is to give yourself over to the team. It’s not glamorous, it’s not pretty but it’s the only way. Rarely has Riordan show a willingness to do that. Maybe his talents are just too individual to be compromised in such a way. Or maybe his attitude is still not quite right. The reasons are less important than the conclusion. And, inescapably, that is the realisation that, at the moment, Derek Riordan is a luxury Craig Levein can’t afford. I thought during the Motherwell game a couple of weeks ago that Riordan looked sharper than he has for a while. Not that he played badly last season. It was just a niggling feeling that he wasn’t quite in the shape that he could have been. If I’m right then he might be on the verge of the kind of season that Levein would find difficult to ignore. But it needs to come with an attitude change. Working hard every week, even when your teammates are letting you down, even when you’re not quite on your game. It’s probably the kind of season that Riordan needs and the Hibs fans deserve. But it’s up to him to deliver it. Until he does then he makes it very easy for any Scotland manager to ignore him. SPL In Europe: Somebody Make It Stop!